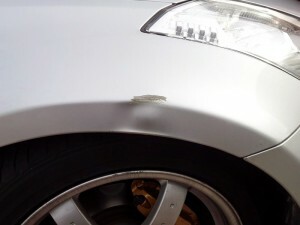 Car paint scratches are not only unsightly but will drive down the resale value of your vehicle. Neglecting to undertake scratch removal or a chip repair on your car’s bodywork can also lead to chronic and escalating rust problems – meaning you could needlessly incur extra but avoidable costs in the future. Previously, there was little incentive for car paint repair, thanks to the inconvenience of using costly car body repair outlets. But the good news is that with Smart Refinish Car Paint Repair System there is now no excuse to leave those car scratches unattended. Typically, a car scratch repair will take just a few hours to complete, at a fraction of the cost of using a traditional body shop method. During the process, colour matching is undertaken to the manufacturer’s original code specification. Therefore, instead of an expensive paint repair across a whole panel, we only need to paint the damaged area. So whether you need one single car scratch removal, or multiple scuff repair, the work can be undertaken in a relatively short amount of time to restore your car paintwork to pristine quality. Whether your car bumper is painted or textured, you can be assured that we will be able to completely repair and remove any minor cosmetic damage caused by bumper scuffs, splits, cracks, scratches and dents. You can expect excellence and a high quality finish as standard. We check the manufacturer’s original colour code specification to ensure that the colour and texture of your bumper is seamlessly restored. 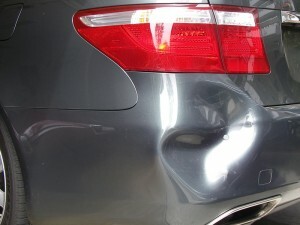 Because we only need to restore the affected areas, bumper repairs carried out are extremely cost-efficient to complete. Smart Refinish will not only save you money compared to overpriced bodyshops but we will also have your car back on the road in no time due to most repairs taking only a few hours to complete. What’s more, all work carried out by Smart Refinish is fully guaranteed and of the highest quality.